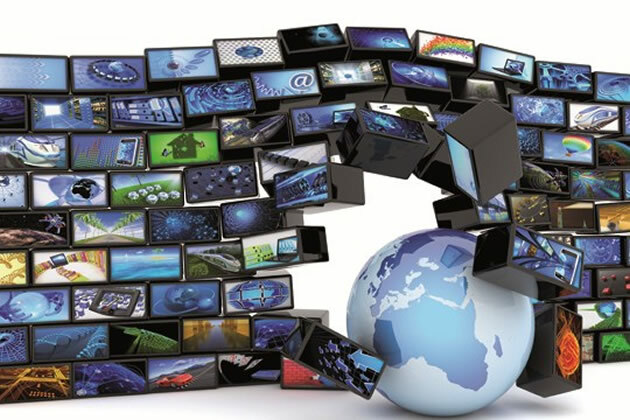 THE migration from analogue broadcasting to digital terrestrial television (DTT) whose deadline is set for June 17 is likely to cause a content challenge for broadcasters, Broadcasting Authority of Zimbabwe chief executive officer, Obert Muganyura has said. The digital migration process, which has seen the preparation of sites and installation of digitalisation equipment across the country, is expected to increase the number of broadcasting services. Increasing the number of broadcasting services, however, creates fresh challenges as there will be a higher demand for content. "We've talked about increased capacity in terms of the number of services that can be delivered on the digital platform but that capacity requires content. Where's the content going to come from? It means there's a challenge for broadcasters to actually have access to the content to fill up that capacity and that's where independent producers are expected to play a very big role. Independent producers produce content which they then supply to the broadcasters," said Muganyura. One of the aspects of this project, Muganyura said, is that it takes cognisance of the fact that there is going to be a demand for content by broadcasters. To mitigate this challenge, government has made plans to install six content production facilities which are going to be installed at different locations across the country. "There'll be one in Harare, Bulawayo, Gweru, Masvingo, Mutare and Victoria Falls so independent producers will have access to these facilities to produce content which they'll supply to broadcasters. That supply of content to broadcasters is important in that they've local content obligations which they must comply with. Firstly, 75 percent must be local content and secondly 40 percent of their content must come from local producers," said Muganyura. With analogue technology, only one service could be delivered but digital technology will enable delivery of 20 services on the same frequency and transmitter. "Previously, we could only deliver one service but with the digital technology we can actually have 20 services delivered on the same frequency and transmitter, that it is if you're using standard definition. If you go high definition, which is the best quality standard at the moment, that number of 20 is reduced to about six but there's still that multiplication factor." "We've received transmission equipment including transmitters, antenna panels and feeder cables. We've just completed inspection for the next batch of equipment that should come into the country soon," said Muganyura. He said by June 17, none of the analogue transmitters should interfere with the digital services of neighbouring countries. "In that regard, priority in terms of installation of that equipment to the existing sites has been given to analogue transmitter sites in border areas because they've the highest potential to cause interference to the digital services of neighbouring countries. We've identified Kamativi, Mutare and Nyanga as transmitters that would cause interference," he said. Muganyura said progress was being made in the preparation of transmitter sites and studio sites in anticipation of the installation of digital equipment with the development of access roads to the sites and power on course. The digitalisation process is in compliance with international requirements. The main reason for the world's migration to digital is to release valuable spectrum which can be used for other services. Spectrum is scarce therefore more efficient use of the spectrum is necessary if more terrestrial telecommunications and broadcasting services are to be made available. The International Telecommunications Union set the deadline of June 2015 for the migration from analogue broadcasting to DTT.